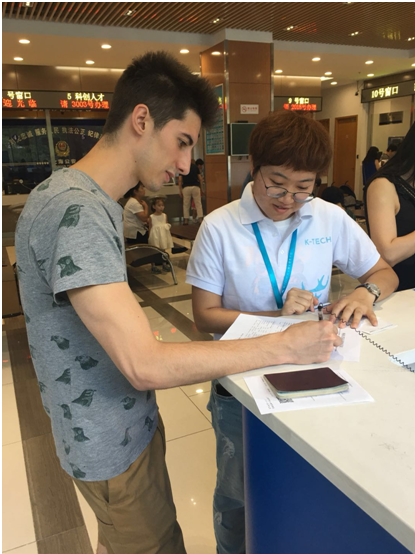 Marc Oliver, a young French entrepreneur, recently became the first foreigner to obtain an entrepreneurship visa in Shanghai. 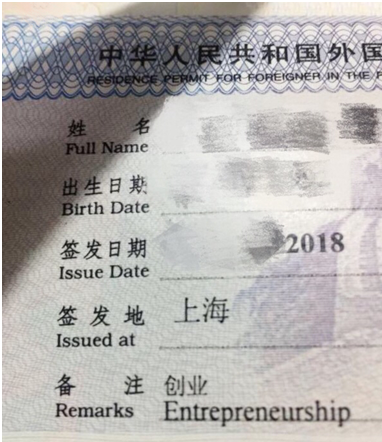 The entrepreneurship visa, also known as a residence permit for personal affairs with an annotation of "entrepreneurship", is a preferential policy launched by the local government to give foreigners easier entry access to Shanghai and China, with the aim of attracting more foreigners to work and start up businesses in the city. 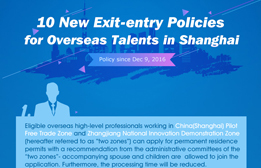 The policy targets overseas students who have just graduated from Chinese universities and are willing to start up businesses in Shanghai, foreigners who plan to invest or start up businesses in Shanghai, and foreigners who graduated from top Chinese and overseas universities in less than two years and have started up businesses in Shanghai. The application process of the visa requires foreigners to present a complete business plan and business certificates issued by economic zones, hi-tech parks, or incubators. Changning district, where Marc Oliver got his entrepreneurship visa, is the first district to implement the policy in Shanghai, and it has set up a special service window for such visa applications. Oliver has worked in Shanghai in the creative industry for years, but he chose to resign and start up his own business earlier this year. Without a steady job, he found it was difficult for him to apply for a visa to continue his stay in China. Workers at the KTech International Entrepreneurship Service Center in Changning knew the difficulty he encountered and introduced the entrepreneurship visa to him. Oliver received his visa only five working days after submitting the required materials. Oliver said that he was pleased to get the visa in such a short time and thought that the policy is a great help for foreigners who want to start up businesses in China.